There’s a lot of talk these days about science communication. Some people spend their lives debating the differences between outreach, public engagement, and science communication, and how they all mean different things. As a scientist, and I’m quite sure I can speak on behalf of the entire community, we don’t give a toss what you call the model – let us interact with people. And by interact, we mean get reciprocal. This is true science communication or whatever fancy name you want to call it, and it’s where people give something back and get physical with the science. Great platforms for this include discussion sessions, café scientifiques, science festivals, and of course, citizen science. Now, I’m a blogger, and the reason for that is posted on the ‘About Me’ section of my previous blog site. I prefer to broadcast and discuss science online – it allows time to think, and craft debates and responses, in a way that you can’t when put under the spotlight in real life. I also look a bit like a gargoyle, and have a terrible sarcasm problem, which relegates me to the ranks of the ‘e-scientist’, or ‘one who blogs’ in Latin terminology. This is the main mode of communications I’ve decided to dedicate myself to, as well as the odd talk. Citizen science, though, is like, 10 levels above this in terms of reciprocal engagement – it’s not talking about science, it’s *doing* science. When we’re talking about outreach, engagement, whatever, is there really anything more awesome than actually being able to do the science that you otherwise only read about in the tabloids or hear ancient myths of bearded scribes locked in crumbly towers cackling as they discover why although it might be physically possible to implant a rhino with a sharks brain, it might not be ethical. Or something. In the academic world, this would be called ‘systematic delegation’ of work from Professors to PhD students, and in the same way as getting your average Joe to, this is perfectly acceptable. The article is mainly aimed at those with an interest in developing apps, so if you’re a bit tech savvy and have an interest in citizen science, do have a read. I’m happy to share thoughts on possible apps, and if you’d like to learn about existing projects, but not involving much tech, check out this wonderful BioTrails initiative by the wonderful Karen James. 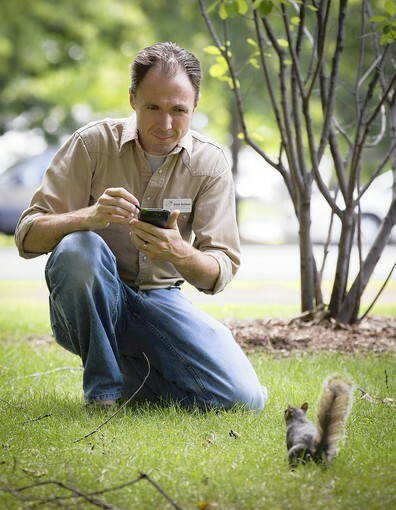 And here’s a handy post all about citizen science if you’d like to read more. Peace out! Are the days of parsimony numbered? Probably.